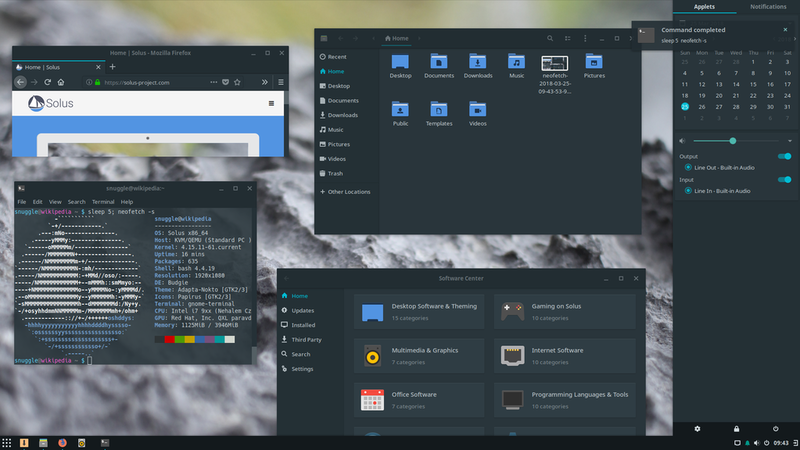 Solus is an independent desktop operating system based on the Linux kernel. Solus comes pre-installed with a wide range of software that includes the latest Firefox, Thunderbird, Transmission and GNOME MPV. Additional software that is not installed by default can be downloaded using the included Software Center. Wireless chips and modems are supported through optional non-free firmware packages.